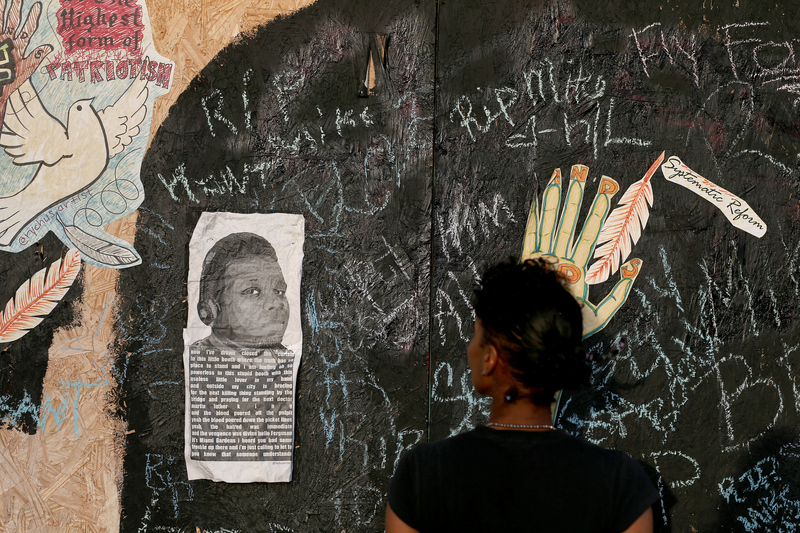 As the new school year kicks off, teachers across America are pondering how to discuss Ferguson in their classrooms. Faced with this debate, Dr. Marcia Chatelain, an assistant professor of history at Georgetown University, created the #FergusonSyllabus hashtag as an open forum for teachers and others to discuss how to incorporate Ferguson into a larger discussion on race, economics, and society within the classroom. As the town prepares for Michael Brown's funeral Monday, Ferguson is now relatively calm — but, just one week ago, nightly clashes between protestors and law enforcement painted a completely different scene. The events in Ferguson have ignited one of the more prominent national discussions on race since the civil rights movement of the 1960s, so it's natural — and, arguably, imperative — that teachers introduce the subject in school. However, since the incident is ongoing — Darren Wilson, the cop who shot Brown, has not been indicted — it can be tricky knowing exactly how to approach the subject. Last week, a social studies teacher in Alabama was suspended without pay for allowing sixth-grade students to reenact Brown's shooting. According to Dallas County School Superintendent Don Willingham, the students used paper guns and bullets and the "victims" fell onto pillows spread out on the floor. And while the incident in Alabama may not have been quite the right approach to discuss Ferguson with students, some teachers are sharing more appropriate ideas. Using Dr. Marcia Chatelain's #FergusonSyllabus hashtag, many have been sharing ideas and specific reading materials in a Twitter-wide brainstorm of how to teach Ferguson to students. This is an opportunity for us to say, 'Actually, everyone is on the hook to have this conversation.' Please don’t fixate on debating the merits of the actors in this drama. Rather, look at this as an opportunity to help your students understand the complications of it. As a result of the #FergusonSyllabus, some educators have started are creating actual curricula that includes Ferguson. Here's a look at some of the lesson topics teachers have compiled in the Google doc mentioned above. Meanwhile, a 12-person grand jury began hearing evidence on the Brown shooting last Wednesday and is currently deciding whether Wilson will be indicted.